For You. For Individuals. For Teams. At a time when the challenges of management are amplifying, roles are getting bigger & are swiftly evolving with the expectation of mastering relevant technical skill sets combined with the responsibility of developing and leading others in a dynamic, digital world. To impact further, the challenges emerging from the differing motivational nuances of a blended, generational workforce means that this will be the most transitional stage of a new manager’s career. The day concludes with delegates creating an action plan that they will commit to implementing within the business (including identifying areas for further development consideration). people, this session explores why motivation is so important alongside the benefits and challenges that can arise. Identifying the key areas which can influence positive change, the session include exercises and open group discussion. We all need feedback. It is how we develop, grow and progress. However giving constructive and relevant feedback is not always an easy thing to do – it needs preparation and practice. This workshop reminds delegates of the value and importance of appraisals for all parties including how to prepare and plan for a meaningful appraisal meeting. This relaxed session encourages the participation of delegates to account personal experiences and offers key tips to consider when conducting an appraisal. This packed session focuses on many of the key areas that influence our relationships with time, our ability to manage workloads and the all-important art of delegating. Through a series of group discussion and exercises, delegates will consider not only where they can make changes to their own approach but also where they can guide those they manage by identifying common practices and behaviours that can influence these areas. Rainbows & Unicorns or An Achievable Reality? 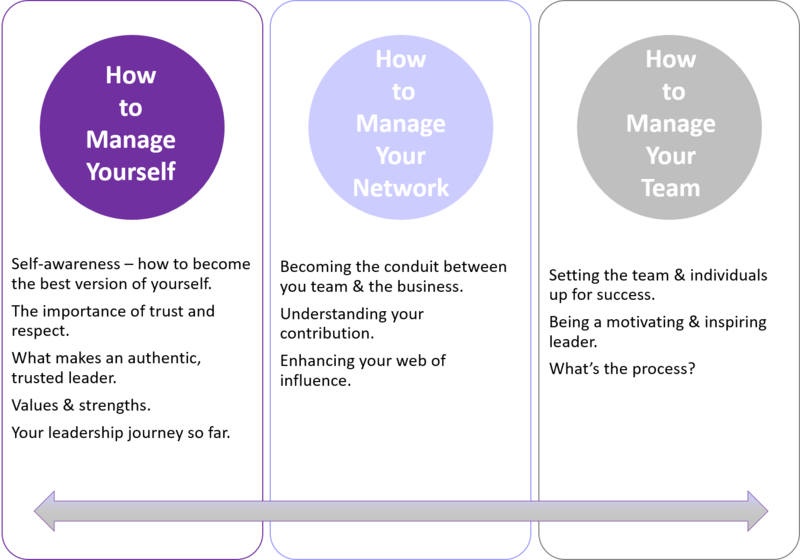 Excellent workshop for a newly established team – providing impetus, focus and a way to appreciate each other more. Guaranteed to drive our future success. Thanks for such a great day today. It far exceeded my expectations! Your energy & focus is contagious. Sarah is one of the best L&D people I know. She commands a high degree of respect and is a real powerhouse and fun to deal with. You gave us the most wonderfully interesting and professionally delivered training day. I admire all that you achieved and the way in which you captured everyone’s attention from the start to finish. You were outstanding; we learnt a huge amount and we also gained self and worldly know-how! Sarah is an absolute joy to work with: personable, honest and engaging, Sarah has run a varied and energetic 6 month course with us, the impact of which has resonated hugely on a personal and wider team basis. DCM recognised that we wanted to support and develop our future leaders whilst delivering a tangible benefit to the business. The major consideration was to change behaviour and not just do a quickly forgotten training course. Sarah stepped up to this challenge fantastically. She worked closely with our exec team to develop a bespoke 6 month programme that developed the team both personally and professionally. The results have been outstanding and we are still seeing the benefits months later. Best course I have been on ever! The things I have learnt will not only make me a better manager but better person. Sarah’s course ties in theory with real world examples that allows you learn, understand and review your own behaviour. Would recommend her in a heartbeat. The Leadership Course has been an incredible journey for me both personally and professionally. I have learnt to understand my values and personality better from it, and how to harness that knowledge when becoming the best leader I can be. I have become closer to people in the office whom I have worked with for years, and have come out of the course with a better understanding of myself, my colleagues, the business and the value I have within it to make a difference. Sarah has been an incredible teacher and support, rallying a sometimes rowdy, passionate and opinionated group to be focussed and achieve success along the 6 months. Her energy and enthusiasm never falters, and it will feel like we have lost a team member now we don't have our monthly sessions to look forward to. Sarah took on a challenging brief from DCM - to run a bespoke training programme for our future leaders, incorporating a range of departments and levels of experience, with personal progression, collaboration and company transformation as goals. We wanted something that would live beyond the training room and have a material impact on a daily basis. The 16-strong team have now spent six months together and they’ve transformed as individuals, honed their management skills and increased their motivation to help us move forward as a business. I am a naturally sceptical person when it comes to coaching. But when I recently signed up to a company training scheme, I discovered that I had just had the wrong coaches. Sarah’s training course was inspiring, motivating, and career-changing. She helped me to frame the success I want for myself, and to map out my route, with extremely practical tips and techniques. I have recommended the training course to everybody in my team. Investing my time and energy into the High Potential Programme has been one of my most rewarding work experiences of recent years. Sarah is extremely personable, a fantastic coach and course leader with a clearly thought out and structured programme to execute over a 9 month period. This is no ordinary training session or two day management course that you forget quickly after completing. Sarah will take you on a journey looking into your own personality and behaviour before looking into others and then equip you with knowledge, ideas and experience of how to develop your career and management style. I couldn’t recommend a training programme or coach more highly. Sarah was a phenomenal coach and facilitator throughout - with the team and one to one time being just the right balance. Sarah helped me unlock my dormant mutant powers! Just a quick note to thank you for delivering our ‘Embracing Change’ Syndicate session at our Projects & Programmes Practice Day in May. We wanted to find an innovative way to enable our 300 or so professional Project Managers to cope better with the inevitable changes we face in our fast-paced world; to give them some new tools and techniques to add to their ‘soft skill’ kit-bag and also have a little fun along the way. I’m delighted to say we ticked all the boxes and your enthusiastic delivery style and inclusive approach was instrumental in the success of the sessions. We all enjoyed the day and our modelling clay skills will never be the same! Sarah was a fantastic trainer & made the session relevant, structured & personable. She has a lovely warm approach which makes it easy to open up to.